Your Jubilee is starting a new series that will be posted twice a month showcasing the latest trends in the event and bridal industry brought to you by our event stylist Meagan! 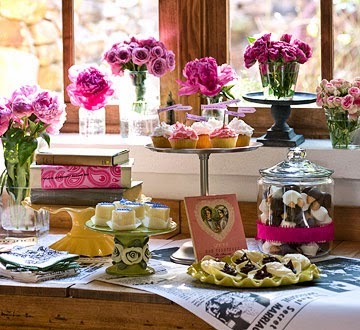 This week is all about the latest trends in bridal showers- brides feel free to share this with your mother or maid of honor- whoever may be hosting your shower, if they need a little guidance Your Jubilee is here to help. It all starts with the invites when choosing this theme. 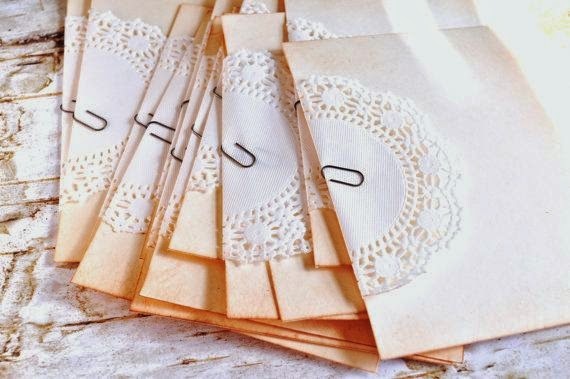 Pick the brides favorite color scheme or style for the invites and add an advice insert in the invite instructing the guest to write their words of wisdom for the couple. Then instruct them to place it with their gift to the bride. Guest can have fun with the gifts creating themed gifts that match their advice. 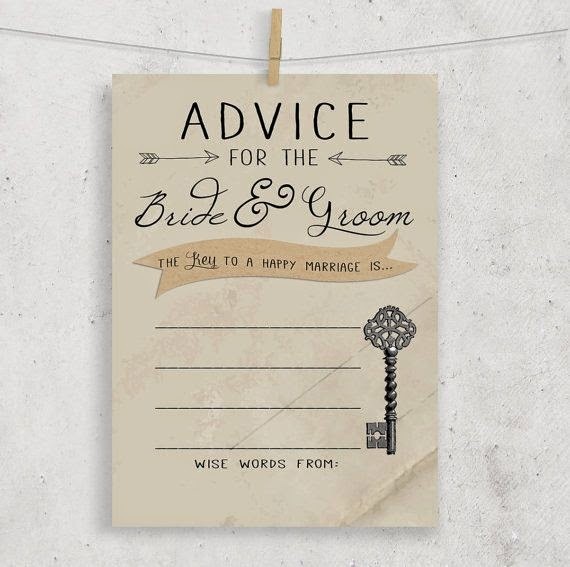 As the bride begins to open her gifts during the shower have her read the advice out loud for a fun way for the guest to enjoy the gift opening portion of the day. 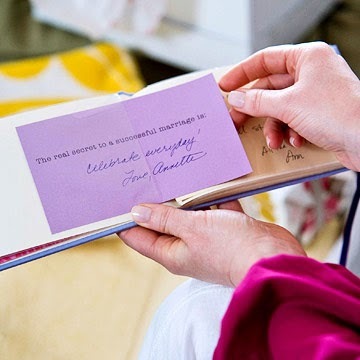 The maid of honor or mother of the bride can collect all the advice cards and create a keepsake book for the bride and groom to reflect on for years to come. Decor will be carried on throughout playing off the invite style and colors you chose. 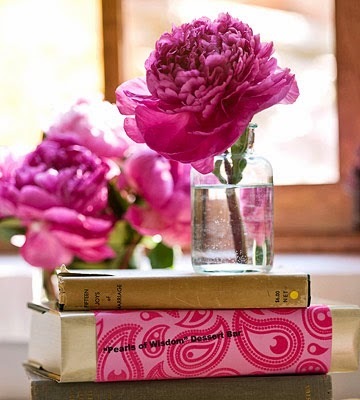 A great way to bring in the advice theme and reflecting on past learnings is by using favorite old books from both the bride and grooms side of the family to hold flower vases and even different food items. 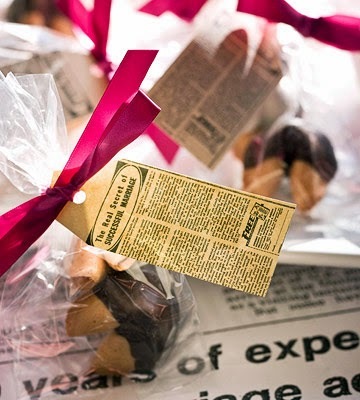 As a table cloth you can use old newspaper clippings that are blown up and re-printed onto computer paper. 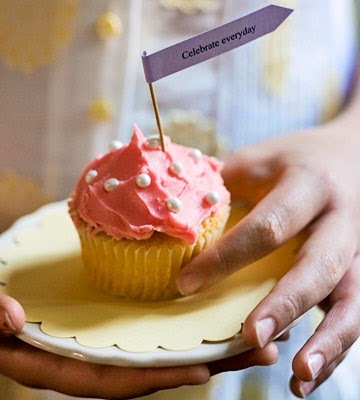 Fortune cookies and cupcakes with fun advice flag decor make great party favors for your guest. Guest will leave with lasting memories from your shower and maybe even some new advice for their own relationships! 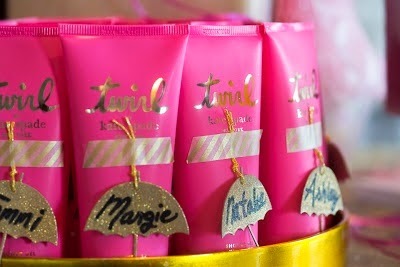 This style shower is all about the decor you use, starting again with the invites you choose. Kate Spade is all about a very chic, feminine style, with gold, glitter, stripes, polka dots, and pops of bold color. Invites can be easily made during a fun bridesmaid get together. Adding glitter, gold cut out hearts, and the black and white stripe washi tape on the envelopes showcases the theme perfectly. 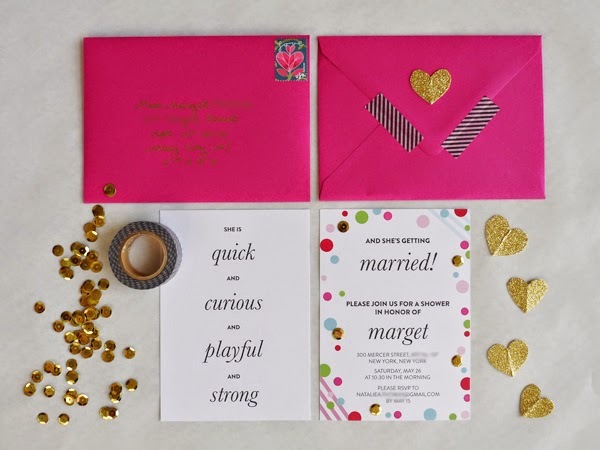 These invites even include a popular Kate Spade quote. 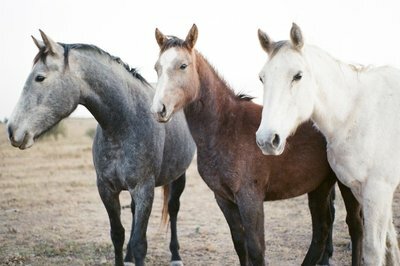 If the bride would like, don’t be afraid to ask the guests to dress the part and put on their Sunday best for the party. 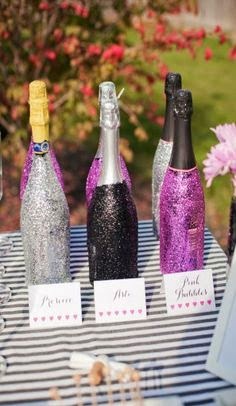 Guest can enjoy a champagne or mimosa bar with bottles dipped in glitter to match the decor. 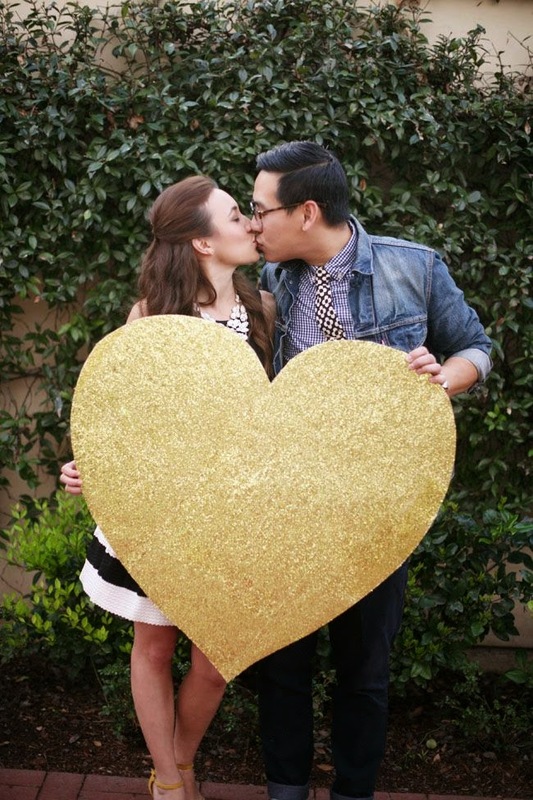 Make an oversized gold glitter heart for fun photo opportunities with the bride and groom and the bride with her guest. 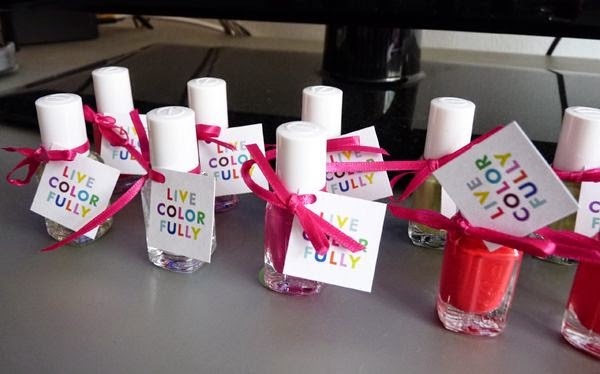 Guest can leave with bright nail polish colors with Kate Spade quotes attached or Kate Spade shower gel or lotion. When they wear the scent or nail polish color they will only think of the fond memories they shared at your shower. Everyone loves when a shower has great food! Since most showers are early afternoon guest do not need a full meal, but appreciate some amazing finger food. Having food displayed in various bar forms make it appeasing to the eye and adds a more sophisticated touch to your shower. 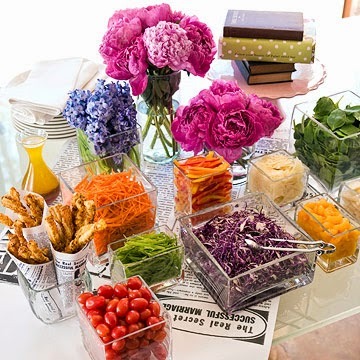 A salad bar displayed in different size square jars with all the toppings (including some awesome breadsticks) is a great new way for guest to customize their own salad. Want a new twist to a dessert bar? 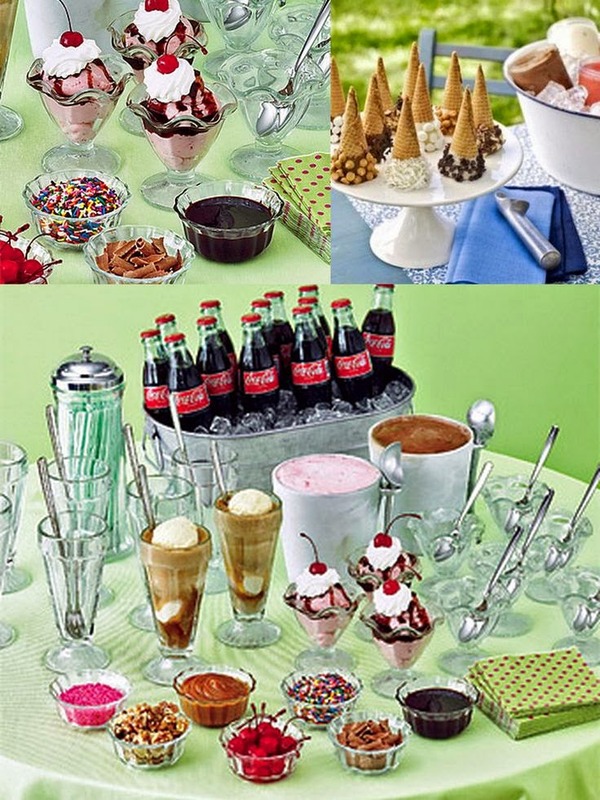 How about a coke float or a root beer float ice cream bar? 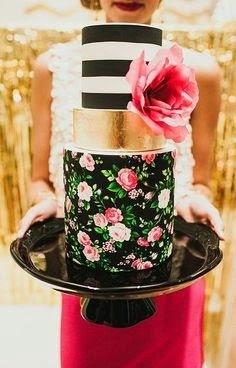 If you are throwing a more casual, summer style bridal shower this may be the perfect addition to your shower that will have a lasting memory with guest. 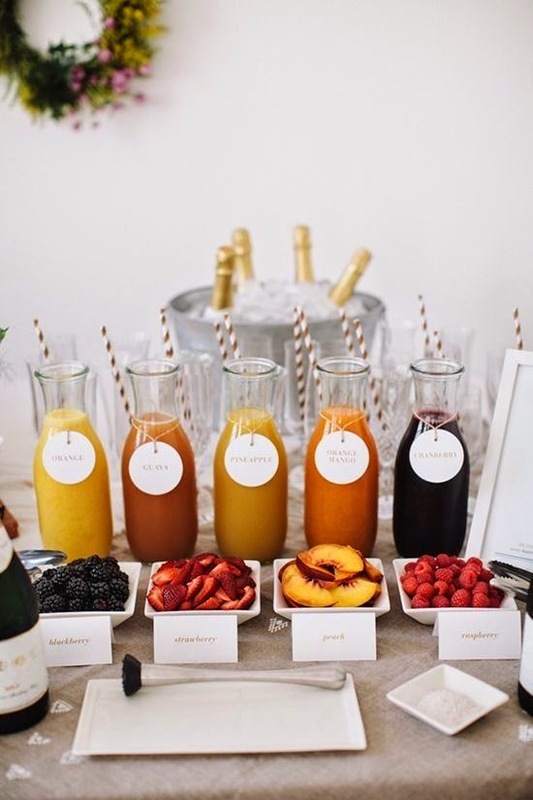 For a morning bridal shower, a mimosa or juice bar is a great touch. This trend can be done in so many beautiful ways. An important touch to this bar is the fruit garnishes that match the different juice flavors. 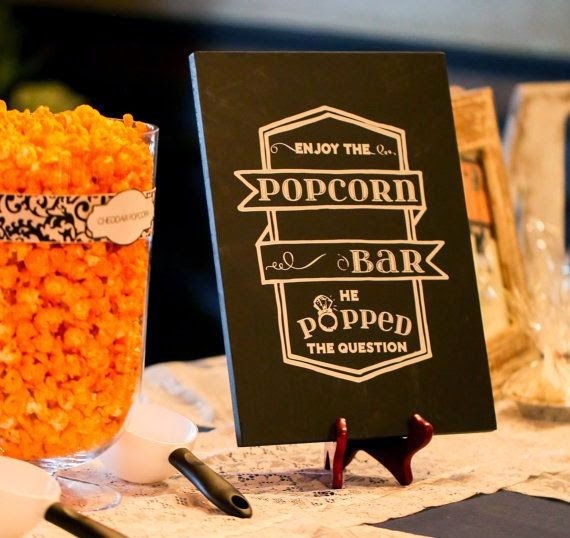 “He Popped the Question” popcorn bar makes a great center piece to a bridal shower as well as party favor. 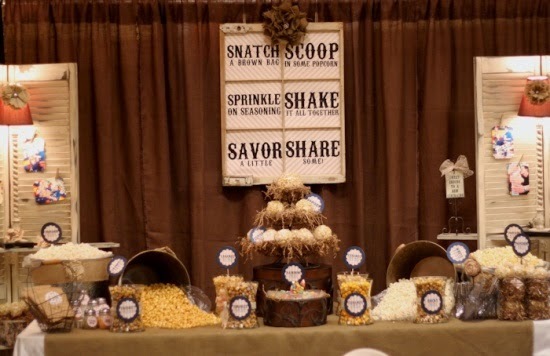 Ask the bride for her favorite popcorn flavors and have the guest mix and match their popcorn. You can even add fun add-ins such as M&M’s or chocolate chips to go into the popcorn bags. Your Jubilee specializes in any type of treat bar and can help you customize to your liking. Check out our services page and contact us today to help you add this special addition to your bridal shower.